Hi, I’m Tasha and i’m 20! I have an addiction to shopping and make up and something to do with that made me start my blog 2 years ago. I have watched beauty Youtube videos and read other peoples blogs for about 4 years and then one day I just decided that maybe I could do it too! I love reading other people’s hauls and OOTD’s so these are features that regularly appear on my blog. I love getting inspiration from what other people can put together so hopefully some of you guys can from mine! I am a Trainee Pharmacy Technician so I don’t really get to show my fashionable side at work, however hard I try! So, Wand Included is where I get to be myself and blogging is definitely something that I really enjoy so feel free to come and check my blog out. YUKO Permanent Hair Straightening was created in Japan in 1996 by Yuko Yamashita, a passionate hair stylist and salon owner who, after witnessing as a child the happiness a haircut gave her mother and sister,decided to make other people just as happy by dedicating her life to hairdressing. Throughout her years as a stylist, Yuko was shocked to discover that only 5 out of every 100 people were happy with their hair and a staggering 75% were concerned because their curly, unruly, sleek or thick hair was not to their satisfaction. In just the same way that most people are unhappy with their bodies and would change something if they could, Yuko committed her passion to find a solution; a way of giving people the opportunity to have the hair they desired. In pursuit of this, Yuko began a project with Japanese health, sports and beauty giant Phiten to develop her own perm solution, alongside having developed a successful solution, YUKO now also has a successful and comprehensive homecare range suited to treat all hair types. YUKO can be purchased online at www.yuko-london.com. A Touch of Tartan is a lifestyle blog focusing on fashion and beauty on a budget. As well as personal looks and my day to day musings, I regularly re-create celebrity outfits as closely as possible using budget pieces from high street stores and online stores. Readers can also find up to date sale information whether that be latest thanksgiving sales or UK Christmas sales, they're all there to be taken advantage of. Saving the best to last, readers also have the treat of some blog appearances from my darling little yogi, my chow chow. Hi everyone! I'm Charlotte, a twenty-something girl from London, England. My blog is a real mixture of beauty reviews, fashion hauls and lifestyle posts. I really enjoy putting together detailed reviews of products and hope I can help people decide whether or not to spurge on something new! I recently decided to make my blog a bit more 'rounded' so you can expect more foodie posts, film reviews and little city guides as well as a sprinkling of home/decor posts too! I really hope you stop by and be sure to get in touch if you fancy a natter! HELLO! My name is Becki, I’m 23 years old and I’m a fully qualified Make-up Artist living in Hertfordshire. I have a mahoooosive passion for anything beauty or fashion related, and on top of that ANYTHING remotely girly makes me smile. I don’t hang onto my pay check very well each month as there is always SOMETHING I need or want to buy! I’m completely new to the blogging side of things and I plan to start up my YouTube channel very soon having watched tutorials and beauty gurus on their channels for YEARS and finally building up the courage to actually do it myself! So this is my little place to express my ideas, show you my work and tell you what I think about certain products etc. Basically it’s a little insight for you into the world of an up and coming MUA. Anyway, thank you for having a look around and I REALLY hope you enjoy my blog, please feel free to get in touch, I’d love to hear from you all!! Hi everyone, I’m Catherine and my blog is Cat Hearts – my little corner of the web to chat about all the things I love! I previously started writing a beauty blog but found myself wanting to add a more varied selection of posts so I created Cat Hearts as a more 'general' blog. Here you will still find lots of beauty posts, but with additional: fashion, reviews, hauls, & lots of general lifestyle ramblings, so if that’s your thing I’d love you to pay me a visit! 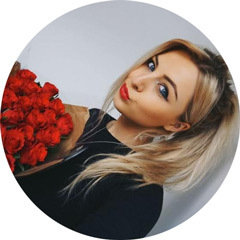 Hi, I'm Katie from a little blog called sugarfixxbeauty, where I write about all things beauty with a little bit of lifestyle and fashion thrown into the mix. I'm a make up addict and skin care junkie so you'll find lots of posts along with youtube videos which I do twice weekly. I really hope you'll check out my blog/channel and if you like what you see don't forget to follow/subscribe. I'm also a twitter addict so you'll find me chatting away on there too! I hope you enjoyed getting to know more about my lovely advertisers, aren't they a great bunch? If you'd like your blog or shop to be featured in this post, you can find out about my advertising packages and prices here. I'm currently offering a Christmas discount of 15% off all of my Januray ad spaces so send an email to kljohnson1990@gmail.com if you'd like to book a space.